June 3rd is the birthday date of my city (Bogor,West Java, Indonesia). The age of Bogor city is 529 years. 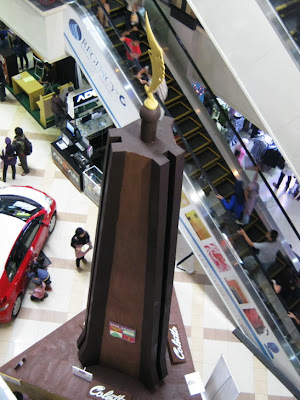 To commemorate the city birthday this year, one chocolate producer made the chocolate replica of the most popular monument in Bogor, Tugu Kujang (Kujang Monument). 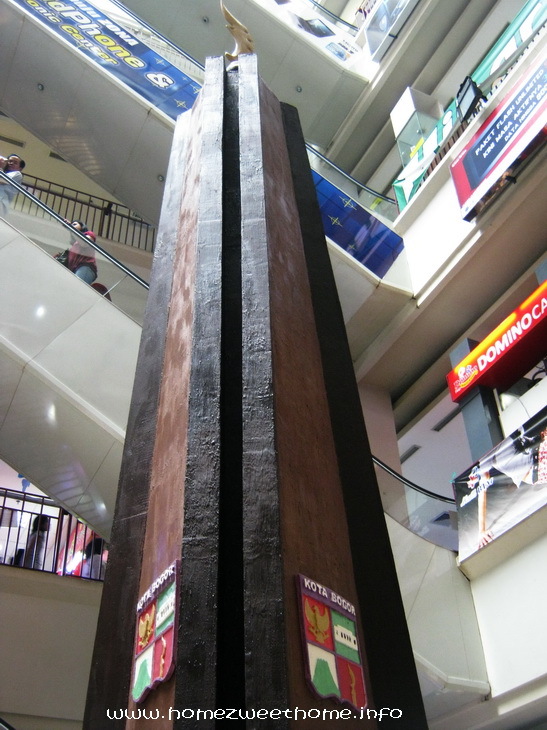 The height of this replica is 7.5 meters and the width is 4 meters (base). 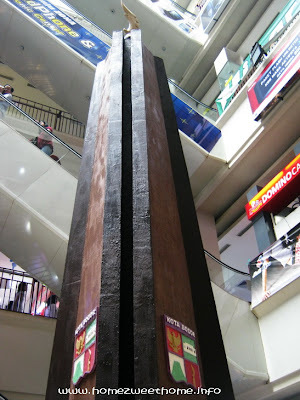 At June 13th, 2011 the replica has been documented in the national record achievement. 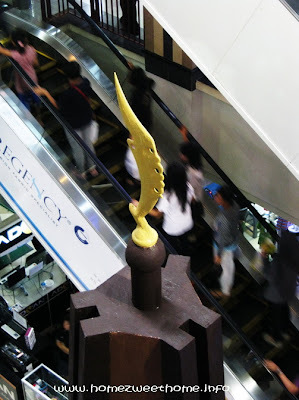 It was displayed inside Bogor Trade Mall. if they let me near, I will be in heaven, and gain 20 kgs. Oh my just by the thought of it I already gain weight ^_^ That artwork is fantastic! wow! that is pretty interesting....I feel like I want to lick it right on the spot...lol! Such a lovely piece of art. Great shot.